There is something deeply satisfying about preparing and eating something just pulled out of the ocean…by my husband! 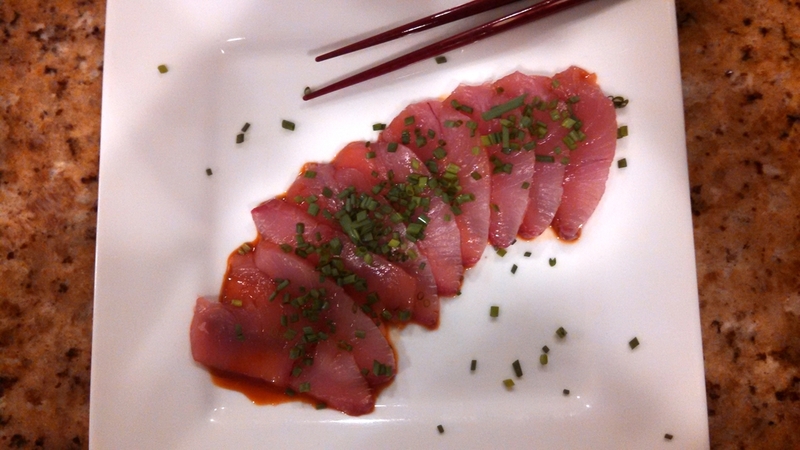 We enjoyed the fresh blue fin and yellowtail for dinner with family and friends three nights in a row! Both fish made the best sashimi. For the yellowtail we drizzled a little soy sauce and sprinkled on some chopped chives. John chopped up some of the tuna for spicy tuna rolls. Finely mince some tuna, add some hot chili oil and a little mayonnaise and mix well. Add what you like on the roll – avocado, cucumber, blanched asparagus, chives or green onions. 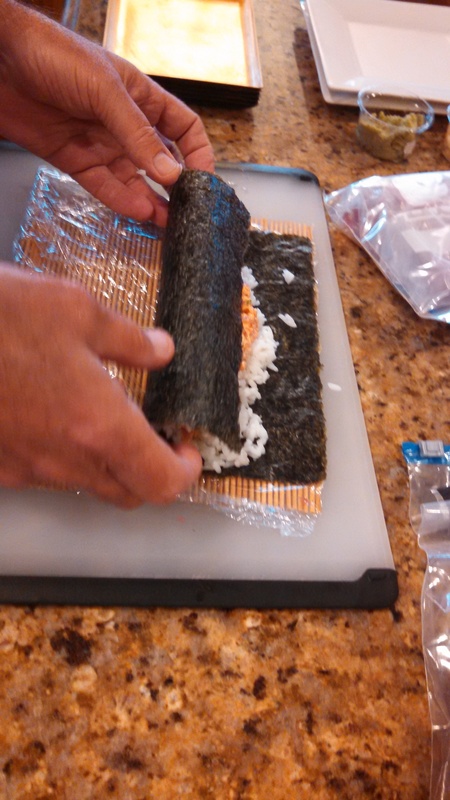 John and I really like making sushi, as it’s one of the few times we are working together in the kitchen. We all end up just standing around the island eating it as soon as we make it!